Dream Home or Future Nightmare? 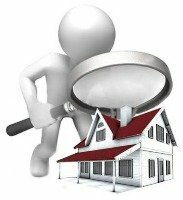 We have the knowledge and experience to assess the condition of a building and provide you with a report to assist you in making informed decisions on your next home purchase. Report covered by Professional Indemnity Insurance for your peace of mind. Eddie Mullarkey Building Solutions is a building consultancy based in Jindabyne NSW and carry out building inspections in Cooma, Jindabyne, Berridale, Dalgety, Adaminaby, Bredbo, Thredbo, Perisher and surrounding Snowy Mountains. We do one thing very well - building inspections! We do not sell building repair work so there is no conflict of interest. All building inspections carried out by Edward Mullarkey licenced builder with over 40 years building experience. Building Inspection and Report is covered by comprehensive professional indemnity and public liability insurance for your peace of mind. We offer telephone support after you have read your building report to discuss anything you don't understand in the report. Pay for the building inspection and report by BPay, MasterCard or Visa.